You will have to use Paytm QR code given for making your online payment. priority will be given to first come first serve on the basis of full payment only. 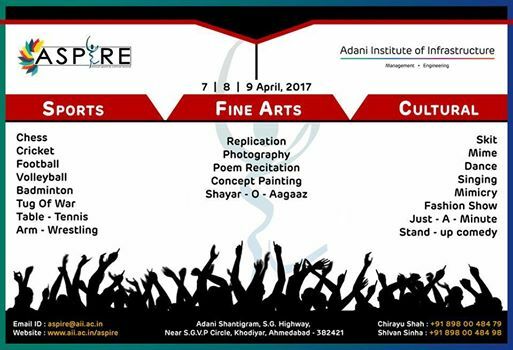 ADANI INSTITUTE OF INFRASTRUCTURE is organising inter college Sports & Cultural fest from 7th to 9th April, 2017.